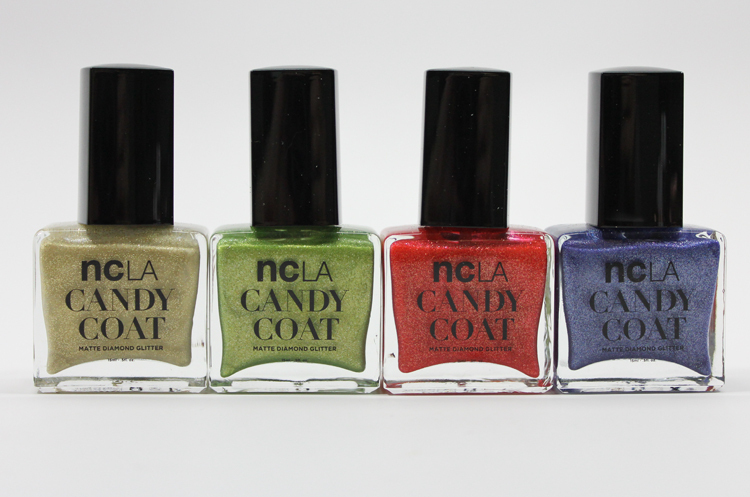 The ncLA Candy Coat collection is brand spankin’ new and consists of four shades. As the name implies, these polishes have a textured finish. 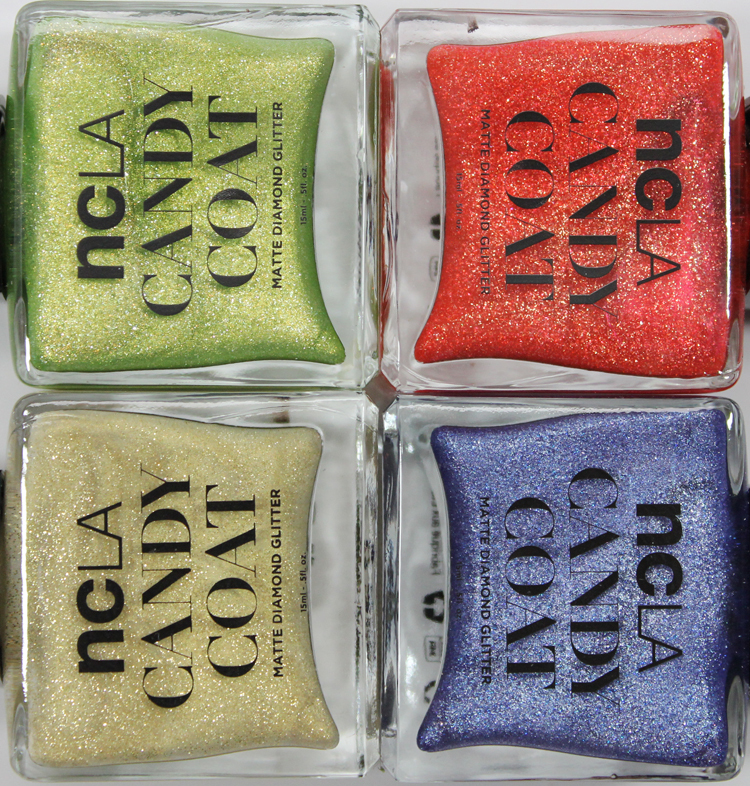 Much like the Zoya PixieDust or OPI Liquid Sand shades. The texture is fine like sugar, and they all have shimmer inside as well. In terms of formula, these were probably the thickest textured polishes I have used so far. They aren’t hard to work with but you do have to be a little more careful in-between each coat or they have a tendency to get “gloopy”. Each one of these was just two coats and they dry rather quickly and to a matte finish. Butter Me Up is a pale cool-toned gold with gold sparkles. I am completely in love with this shade, it’s my favorite of these four. I just love these pale, yellow-ish, cool gold shades. I feel like it’s unique but I haven’t yet checked it compared to other textured golds I own. Mint Condition is not a mint green really but more of a lime green with yellow sparkles. I think this one is really a nice shade also, and I am sure it’s unique compared to my other textured polishes. 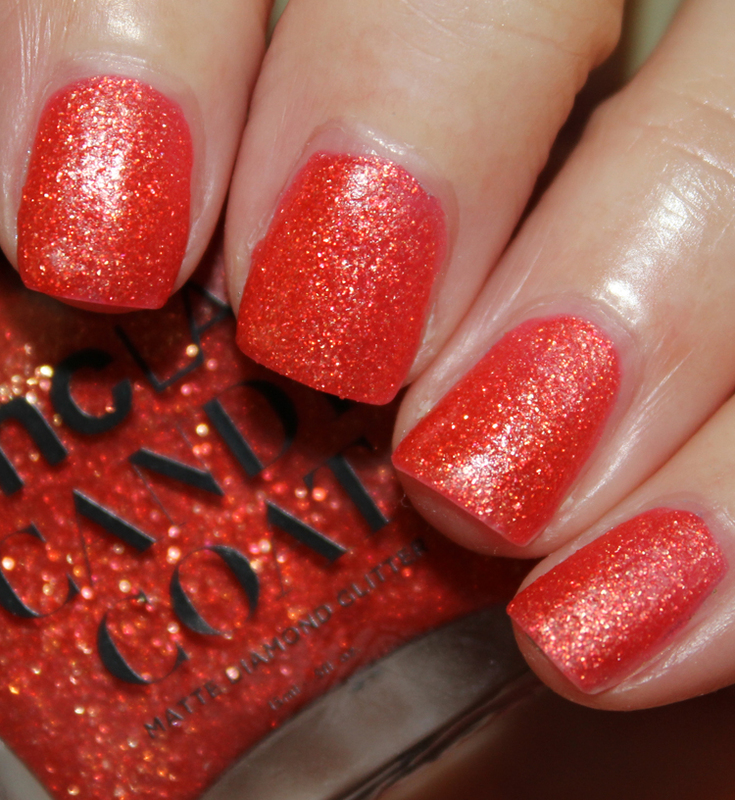 Cinnamon Girl is a red with orange sparkles. It looks like a cross between red and orange really. Very pretty shade and it does remind me a lot of cinnamon actually. Don’t Sugarcoat It! is a medium blue with light blue and purple sparkles. Nice saturated blue, and this one seemed to have the most even application. Overall: I really like these! I’m still totally into the textured trend so I am happy to see other brands coming out with their version. I feel like Butter Me Up and Mint Condition are unique shades but the other two are nice as well. In terms of formula these aren’t perfect, but they all wound up looking good with just two coats anyway. Will you be checking any of these out?